Factual error: When in Amsterdam, there are a number of mistakes with Hanna's car. First off, it's a brand new model, but it has a numberplate from a series six years ago. Second, that numberplate is a flat sticker, while Dutch numberplates are made with very thick plastic letters. Third, the registration is 87-UYM-3, which wouldn't be used, given that Dutch numberplates don't use vowels. Factual error: At the beginning of the show the name South Carroll Parish, Louisiana appears to indicate where the opening scene is happening. South Carroll Parish does not exist. It has to be either East or West. Tom Kirkman: What do you want me to do, General, declare war? Why not. 40 minutes ago, they showed me the nuclear football. I guess I've had it long enough to try it out. Tom Kirkman: D.C. police called the White House switchboard, wanted to confirm that you worked here. What happened this morning? Seth Wright: What happened in Michigan. What always happens. When people don't know who their enemy is, they start with people who look like me. Question: If there were two designated survivors (Kirkman and Hookstraten) then why was it decided so quickly that Kirkman would be president instead of Hookstraten? 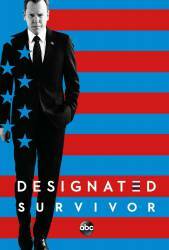 Answer: While both parties picked a designated survivor, only Kirkman was a cabinet member and in line for succession. Hookstraten was the Majority Whip leader for the House of Representatives and not in line for succession. She would only have become president if something happened to Kirkman.